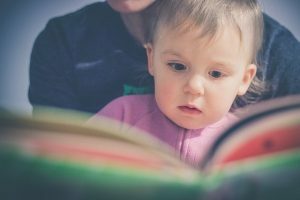 Emergent literacy has been taking place since birth and continues through early childhood. Books, magazines, newspapers, even crayons are their first experiences to literacy. Want to make a larger impact on your child’s success through all of their schooling, and a life-long love for reading and writing? Here are some helpful tips! 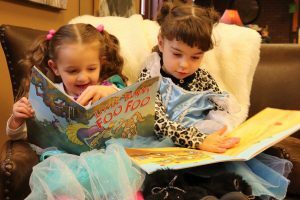 Reading makes a huge impact on your child’s success! 1. Always have writing materials available to your children! Crayons, paper, pencils, markers, etc. are always great to even place in a little make up bag. Then ask them to tell you about their drawing while you write down what they are saying; like writing a little book together. Again, this could all take place in five minutes (you know your child). 2. Always make time to read aloud to your child every day. It could just be one book during bath time or bedtime. If they have a favorite book, then read it over and over again until even they become sick of it. That repetition will make them feel very awesome when they memorize the words and they think that they are reading. The key at this point is to help them realize that reading is fun! And those brain connections they are making by memorizing that story! 3. Depending on the age of your child practice words and sounds. For those just learning to talk repeat those sounds with them (dada, mama, doggy, etc.). For older children constantly point things out to them when you are driving or in stores. They will start to put things together in their brains and realize that the sign said “STOP”. Doing things like this regularly will introduce them to new vocabulary. Make sure that you are also giving them time to respond and ask questions- that you are giving answers to. 4. When you are not reading their favorite book try to mix things up. Have books with words you can easily point to and they can follow along with. Have rhyming and alliteration books (Dr. Seuss is a good reference) at hand so that the story is exciting to them! Picture books mean you guys can make up the words yourselves and have fun with it! More exposure to different types of print and stories makes it easier for your child to find what they really enjoy reading about. 5. All interactions will make your child smarter! Talk to them about anything, even before they know how to talk. Their brain is making so many connections, and you want communication to be one of them. That is their first step into reading and writing. Talk to them about what you are doing together (changing diapers, eating, bathing). Play music and sing together (no matter how it may sound). Play games and teach your children how to do things. Conscious efforts to make time for reading, drawing, and talking will put your child ahead of the game. Tying in these tips will ensure success later. It’s so much easier and more fun to teach these things at an early age, so take advantage now! When children are older and don’t have these skills it’s possible for them to fall behind. Let’s all strive for a future full of high intelligence and readers!